In conjunction with the opening of the Hoehl Welcome Center, TruexCullins joined Beeken Parsons to custom design and fabricate a signature chair for St. Michael’s College. 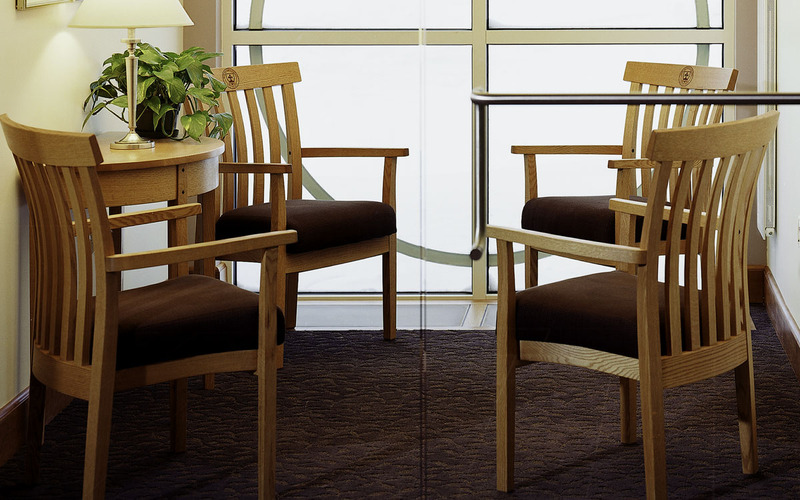 The Saint Michael’s College chair was developed to be stackable, comfortable, and possess a true Vermont quality. The chair is made from oak trees growing on campus near the Winooski River, linking the school’s timber resources with the region’s wood manufacturers and craftsmen. This process strengthens the relationship between a healthy environment and a sustainable economy. The chair is available with slatted and upholstered back versions to serve in distinct locations. The back rails, rear legs and vertical back slats are steam-bent, and the crest rail is laser etched with the College insignia. 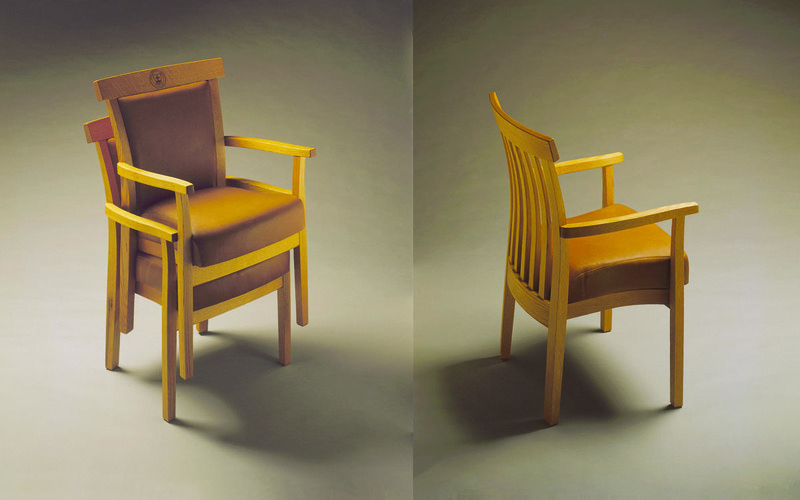 The chair is joined with durable mortise and tenon joints, and the panels that establish the shape of the upholstered back are shaped from molded plywood. Finally, the chairs are finished with a blend of linseed and tung oils to warm the oak and bring it closer to the tones of the cherry interior.